NO FILTER – that’s it! Ok so my Hourglass powders addiction shows no signs of abating any time soon. They really have swept the market and made a long ignored category their own. 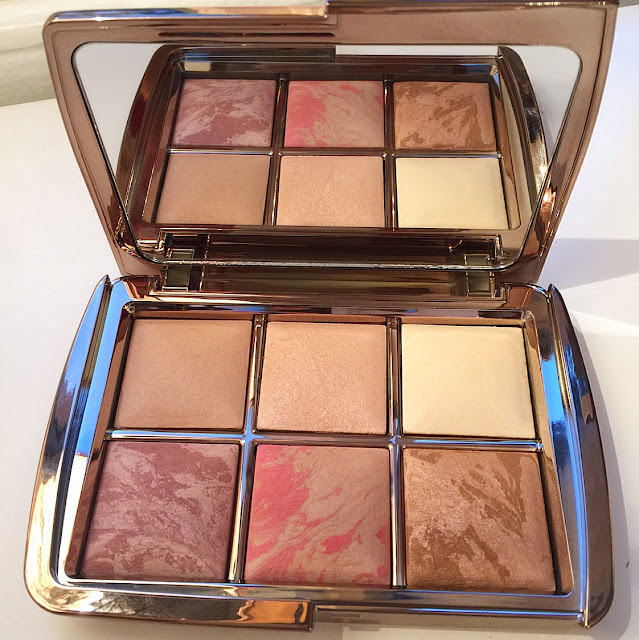 This gorgeous Limited Edition Ambient Lighting Edit contains six powders that ‘finish, brighten, contour and highlight’. Dim, Iridescent and Diffused Light powders fill the top row left to right, Mood Exposure and Luminous Flush blushers bottom left – and Luminous Bronze Light Bronzer bottom right. I will probably end up buying another one. Being a Limited Edition I have the urge to save it but I want to use it.